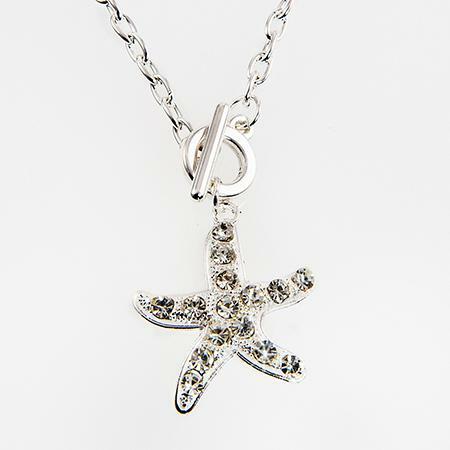 This beautiful Silver Tiffany Style Chain comes with or without Crystal Starfish. For an additional $1.75 Chain is approximately 20 inches long and is lead free. Necklace has multiple spaces for additional charms. Please specify chain or pendant with chain when ordering.